Stimulite Contoured Pediatric Cushion Thickness 2½" Weight 1 - 2 lbs. 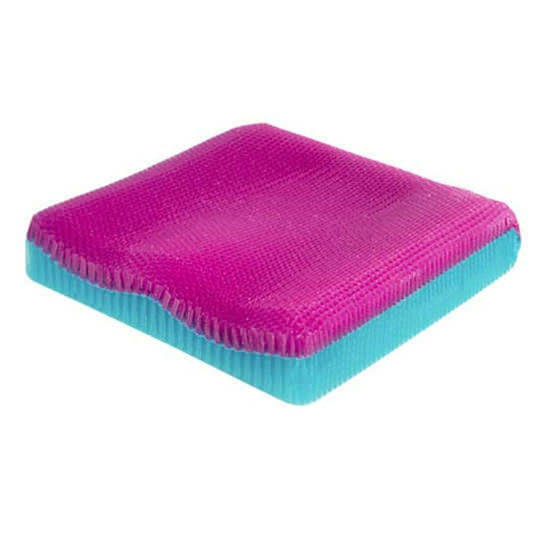 Standard Sizes 10" x 10", 12" x 12", 14" x 14"
Supracor stimulite contoured honeycomb pediatric cushion is a lightweight honeycomb cushion designed for positioning and comfort. Stimulite Contoured consists of a soft top layer fused to a firmer bottom layer of flexible Stimulite honeycomb. Stimulite Contoured Cushion provides optimum pressure relief, stability, shear force reduction and ventilation protecting the children’s skin against pressure sores. This pediatric cushion is antibacterial, antifungal and odor resistant promoting clean, healthy skin. Weight 1 - 2 lbs. Standard Sizes 10" x 10", 12" x 12", 14" x 14"
All cushions come with a two-year warranty. Cushion covers are under warranty for (90) ninety days. Warranty includes damage due to workmanship, material defects or errors caused by the manufacturer.